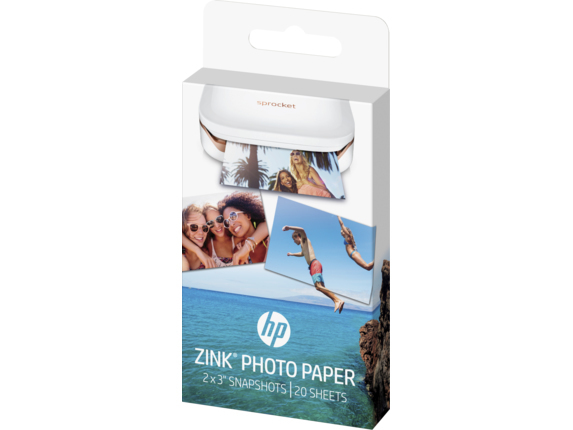 Specially designed for your HP Sprocket Photo Printer, turn your favorite moments into 2 x 3-inch (5 x 7.6-cm) smudge-free, colorful stickable snapshots with HP ZINK® Photo Paper. Easily start printing photos to share with family and friends. Print bright glossy photos in a 2x3-inch size with your HP Sprocket Photo Printer and continue the fun. Print, peel, and stick instant-dry stickable snapshots. Ideal for people who snap photos on their phones and would like printed photos of their favorite moments to give to friends and decorate items or spaces. Take a photo and turn it into an experience. Print stickable snapshots to share with family and friends. The fun 2 x 3-inch (5 x 7.6-cm) size is perfect for sticking, keeping, and passing out at parties.